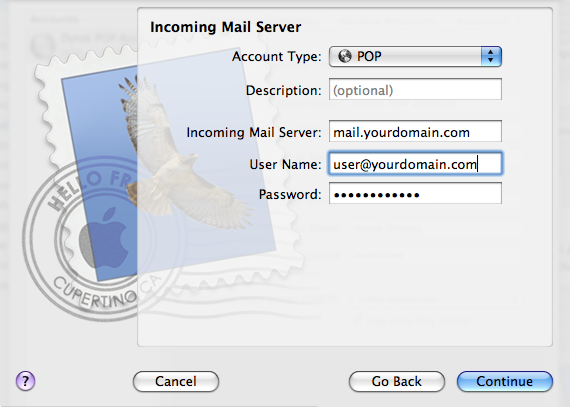 This tutorial will explain the standard setup of Mac Mail for use on our servers. 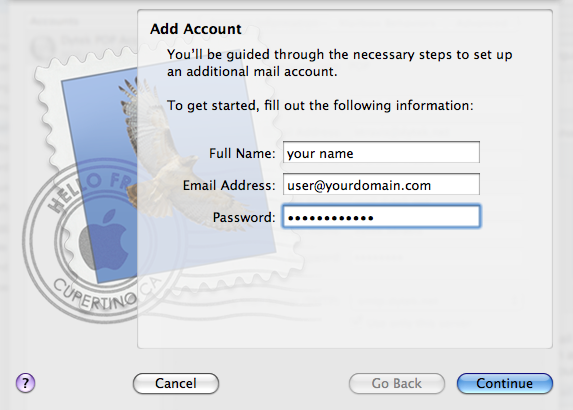 At the Top select "Mail" then "Preference"
Under the Accounts Tab go to Accounts and add a new Account by click the + button. 4. Enter the information below and click Continue. 5. The next screen will look as below, enter the information then click Continue. 6. Next enter the information below. 7. 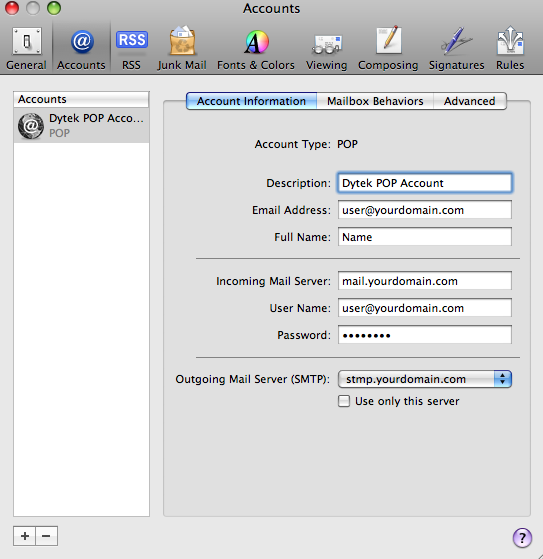 Make sure that the SMTP Server has Authentication Enabled.